Ruby black color. Aromas of raspberry relish, ivory, hard red candies, graphite, and eucalyptus with a round, crisp, fruity medium body and a smooth, breezy dark chocolate mousse and vanilla candle finish with moderate oak flavor. A shiraz-lover’s pinot noir. 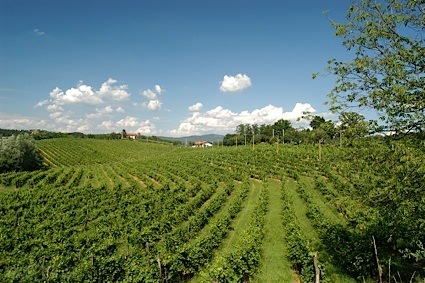 Bottom Line: A shiraz-lover's pinot noir. 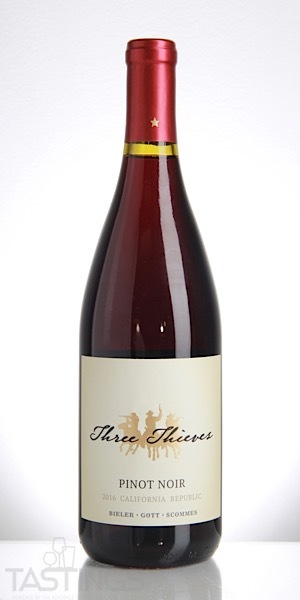 Three Thieves 2016 Pinot Noir, California rating was calculated by tastings.com to be 85 points out of 100 on 9/20/2018. Please note that MSRP may have changed since the date of our review.